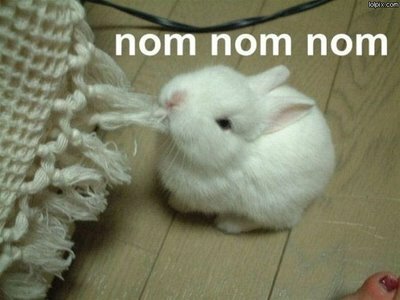 « Come join the Nom Nom Team! Jenn, Misa and I went out to the Road Stoves (www.roadstoves.com) lot on Thursday to check out our truck and practice driving it for the first time! Allison Torneros (www.allisontorneros.com), our designer, also joined us to take measurements of the truck and get inspired before coming up with our final design. The truck may not look like much now, but once Allison is done with it, its gonna be the sweetest-lookin ride driving down the 10! Before meeting our goal of bringing banh mi to the Westside, were going to have to learn how to drive our massive truck over there! Our lesson started with simply driving forwards and in reverse, getting a feel for the handling, acceleration and brakes. Let me tell you folks, the brakes are NOT like a normal car. Ample planning time must be factored in to any stopso if you ever see us driving down the street, I would recommend switching lanes if you happen to be in front of us. ;) After some practice, I think we all started to get the hang of driving. We still have another few weeks before we have to really get out there, so well get as much practice time in as possible before then. 2 comments to Our Truck, pre-Nom Nom-ization! Nooooooooo! Eastsiders sincerely hope that you will have locations east of La Brea. Come to think of it, east of Vermont! Not gonna suffer to get west enough to eat your sammies, so head to our hipster Silver Lake hood, please. Will you ever be coming to La Canada or La Crescenta? The Kogi truck comes here regularly too, and its businesss is good! Lots of Asian population over here who would love the sandwiches!